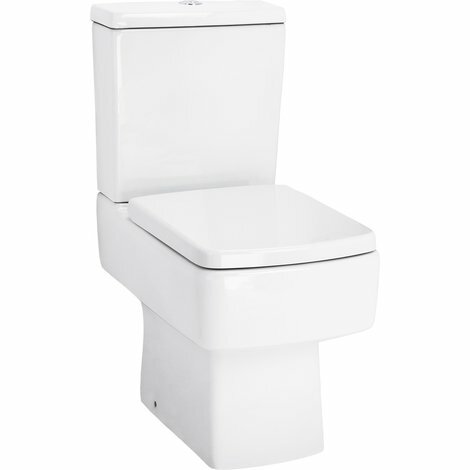 Our Paulo WC inc Soft Close Seat is the perfect choice for any modern bathroom. This stunning square close coupled toilet can be coupled with other items in the range to create a contemporary complete look. Made from high quality ceramic, this toilet will look great for years to come. Featuring a soft close seat for a luxurious look and feel, this design is ideally suited to any new cloakroom, small bathroom or large bathroom where you's like to maximise space.